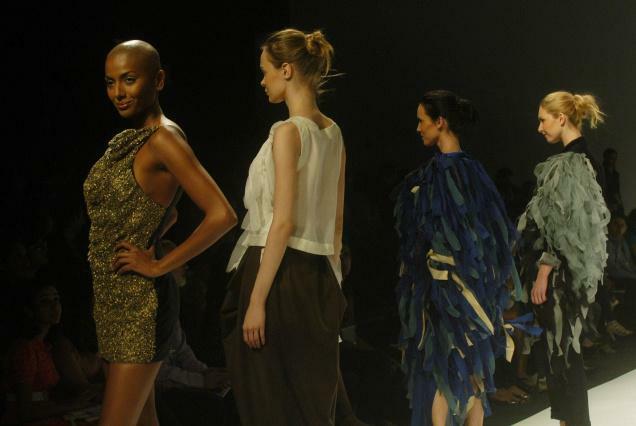 Birds of a different feather, at Gaurav and Ritika AW10. The proportions and layering of greys and black in the last look on the right is dreamlike. I want to wear this for Spring and float into a brand new version of me. The second look echoes Belgian design and is right on point in black and white. But this next look captures the essence of the rich textural history within India and the simplicity of the new design regime. 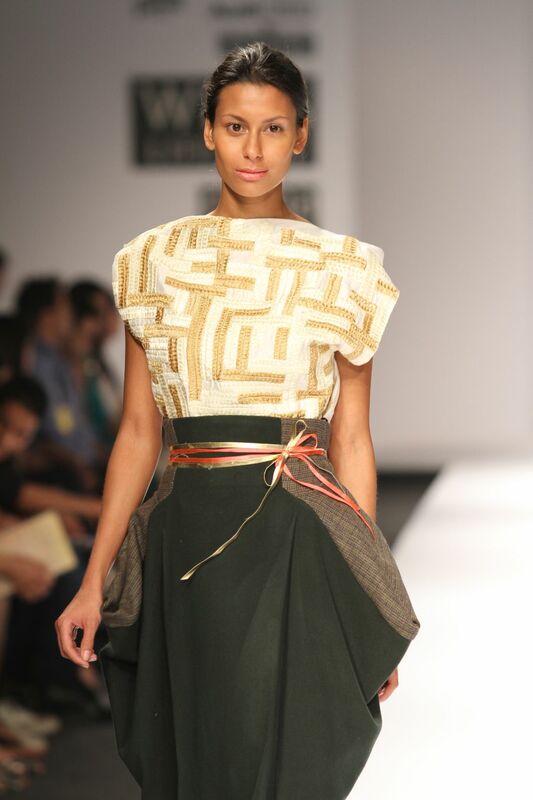 The art of simple dressing at Gaurav & Ritika AW10. Top photo courtesy of The Hindu. Bottom photo courtesy of WIFW. Previous Post Feathered Friend or Foe?